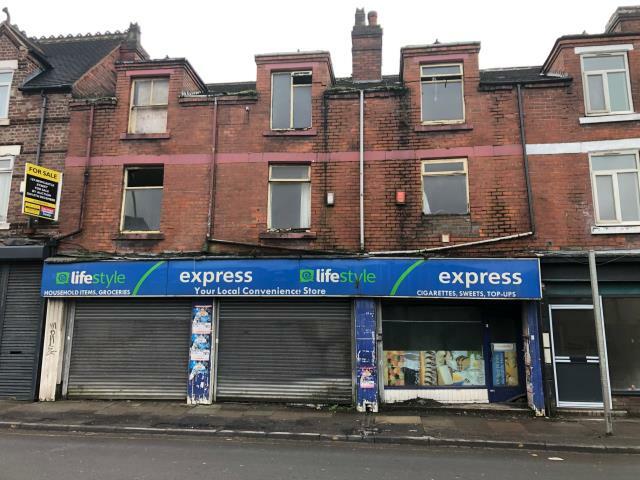 This lot is made up of three ground floor retail units with upper parts, comprising three two-bedroom split level residential flats with rear access. The property is vacant and is in need of full renovation throughout. The town centre of Burslem is nearby with its local shops, schools and bus connections and the general area offers a mix of residential, commercial and retail properties. Good road links also serve the area including easy access to the A500 and M6 motorway. This is a freehold purchase and will be of interest to investors and developers. Three commercial premises on the ground floor and 3 x two bedroom split level residential flats above each shop.